Having surgery can be an incredibly stressful and scary experience, even for the toughest of us who know exactly what to expect. But for kids who don’t understand what’s going on, being separated from their parents in a weird place full of bright lights and funny smells, it can be downright terrifying. So anything that hospital staff can do to ease the anxiety before surgery is hugely beneficial. 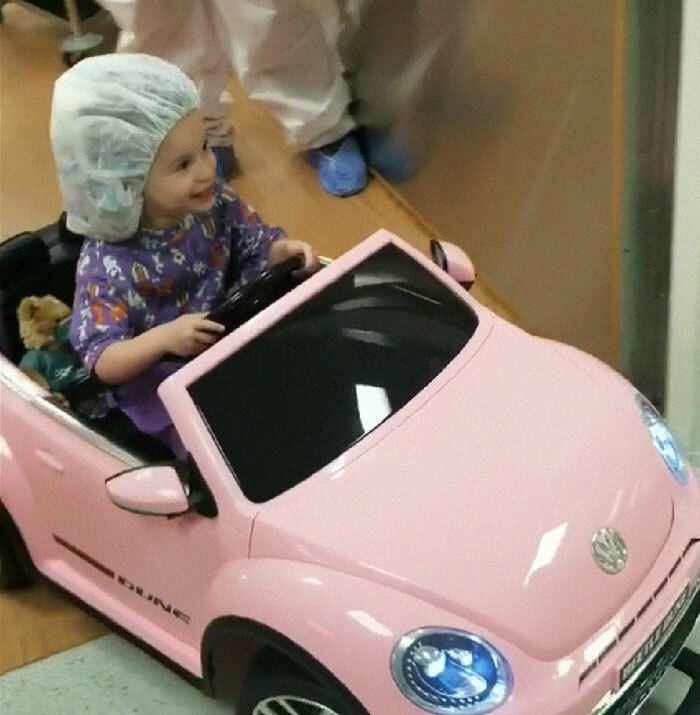 And what is more relaxing than cruising around the wards in a toy car? 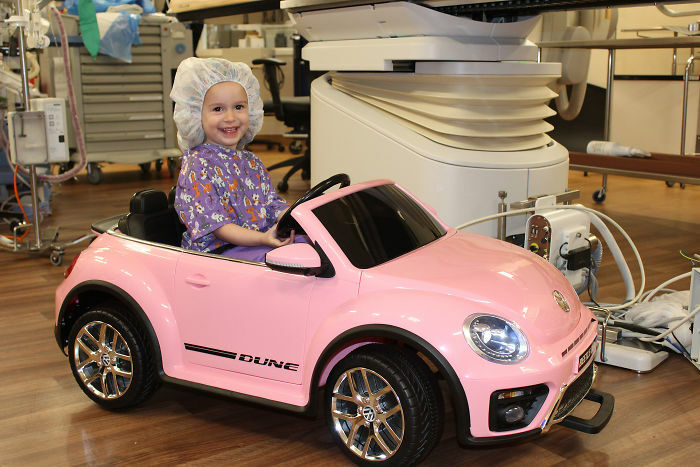 The good folk at Doctors Medical Center in Modesto, California, let their vulnerable little patients enter the daunting environment of the operating room in style and with a big smile on their faces. 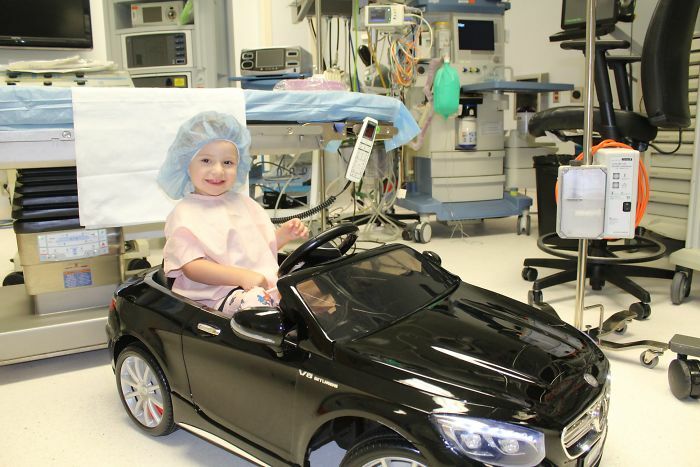 Cute mini cars designed for kids between 2 and 7 put everyone at ease, from the patient to the parents and doctors, and kids can choose between either a pink VW beetle or a black Mercedes. The cars can be operated by the kids themselves or by remote control, and have functioning headlights and taillights. They even have a radio so the kids can choose what kind of music can best put them at ease before their surgery. 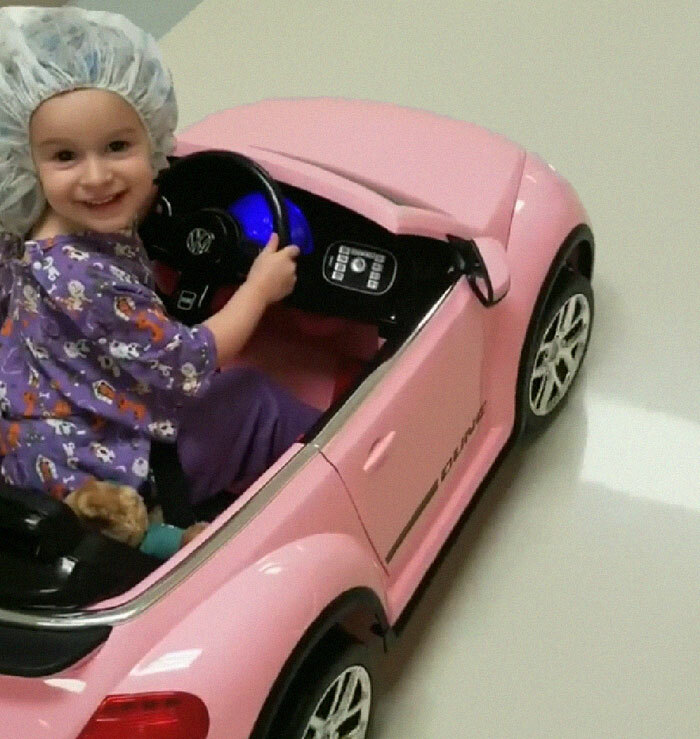 Check out this little cutie happily making her way towards her operation, stress-free!